This on-grid solar power kit can be used for a home or office building. The Renogy 280W Solar Panels included in this kit are both dependable and affordable, allowing for a great return on investment. Whether you’re looking to save money on your power bill or just trying to become more energy efficient, the solar panels included in this kit will surely get the job done. 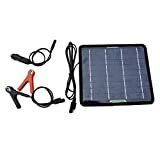 This 2.5KW Grid-Tied Basic Solar Kit comes with ten Renogy 280Watt Monocrystalline Solar Panels, ten Enphase Microinverters, ten trunk cables, and a branch terminator. 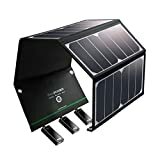 Although this kit does not include mounting equipment, it does contain all the solar products you will need to get your on-grid system started! Orders over $200 may require a signature. EL tested solar modules; no hot-spot heating guaranteed. Authorized UL 1703 photovoltaic modules and panels.